Your website is a powerful marketing tool. 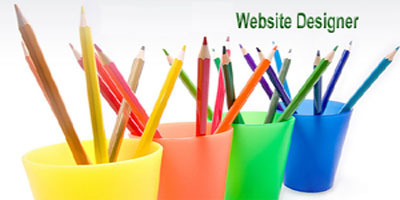 A well-maintained website can help you gain a competitive advantage in your industry and improve your business image. Developing your web site offers many benefits including helping you get more leads and prospects, increase sales, enhance your professional “brand,” and improve your customer service. Static web pages are often HTML documents stored as files in the file system and made available by the web server over HTTP (nevertheless URLs ending with ".html" are not always static). However, loose interpretations of the term could include web pages stored in a database, and could even include pages formatted using a template and served through an application server, as long as the page served is unchanging and presented essentially as stored. Static web pages are suitable for the contents that never or rarely need to be updated. However, maintaining large numbers of static pages as files can be impractical without automated tools. Any personalization or interactivity has to run client-side, which is restricting. A dynamic web page is a web page that displays different content each time it's viewed. For example, the page may change with the time of day, the user that accesses the webpage, or the type of user interaction. There are two types of dynamic web pages. Web pages that change in response to an action within that web page, such as a mouse or a keyboard action, use client-side scripting. Client-side scripts generate client-side content. Client-side content is content that's generated on the user's computer rather than the server. In these cases, the user's web browser would download the web page content from the server, process the code that's embedded in the web page, and then display the updated content to the user. Web pages that change when a web page is loaded or visited use server-side scripting. Server-side content is content that's generated when a web page is loaded. For example, login pages, forums, submission forms, and shopping carts, all use server-side scripting since those web pages change according to what is submitted to it. Scripting languages such as PHP, ASP, ASP.NET, JSP, ColdFusion and Perl allow a web page to respond to submission events.